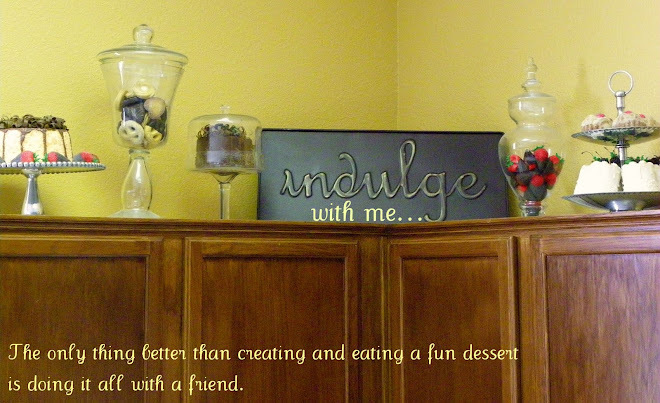 Indulge With Me: Happy 3rd Birthday John Taylor! These were for John Taylor's 3rd birthday. Richann decided yesterday to make his party more simple (I am proud of her) which included changing the cupcakes too. I googled simple 3rd birthday cupcakes and loved this idea. I traced number 3's with white chocolate and then glittered them with sprinkles. Once they set up I just placed them on the cupcakes. Simple! Set a rack at the middle level of the oven and preheat to 350 degrees. In a large mixing bowl, beat butter andsugar for about 5 minutes, until light and fluffy. Stir together flour, baking powder and salt. Set aside. Combine egg whites, milk and vanilla extract. Add 1/3 of the flour mixture to butter mixture then add half the milk mixture. Continue to alternate beginning and ending with flour mixture. Scrape bowl and beater often. Happy Birthday buddy! Thanks for letting us be a part of your special day!